Searching for some printable summer material? 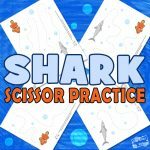 Prepare your kids for some cutting, because we have created a fun set of Summer Scissor Practice Sheets to practice on. 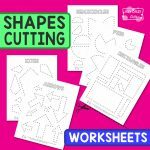 Let’s strengthen those fine motor skills on these free cutting printables and become a master of paper cutting! 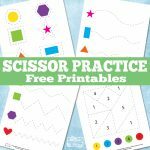 These scissor practice worksheets are perfect for kids in preschool and kindergarten. Cutting along the dotted lines doesn’t seem so difficult, but for the young learners, it will surely be an exciting challenge. 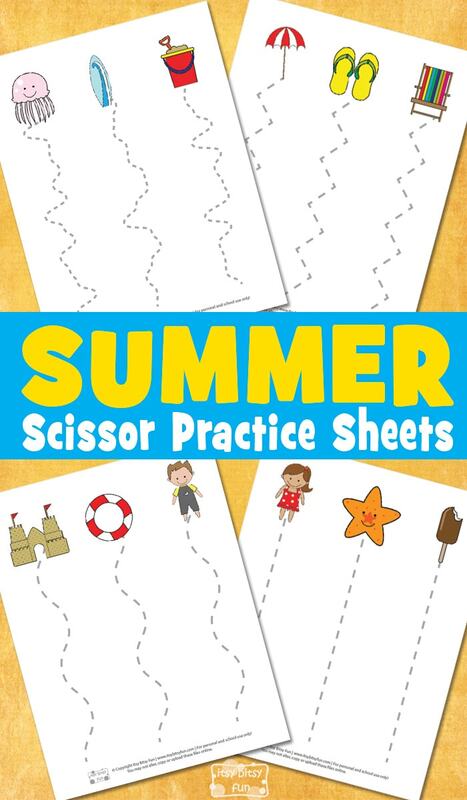 This summer themed cutting practice printable pack includes 4 different pages. The set is great for hand-eye coordination and fine motor skills of your child. Let’s start off with the first page, where kids need to cut only along the straight dashed lines. You can also start by tracing all of them and cut them out later. Kids can start cutting the lines from the bottom of the page and go straight towards the images of a girl, a starfish, and an ice cream. On the second page, the lines get a bit wavy. 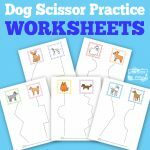 Encourage your kiddos to cut them out slowly and accurately. The next page consists out of three zig-zag lines and there is an umbrella, beach sandals, and a beach chair on the top of a page. And on the last scissor practice worksheet, there are three totally different lines. These lines are especially great for evolving cutting skills because they don’t have an obvious pattern. This way kids need to focus on the dashed paths, to get to the octopus, a surfboard, and a sand bucket. So, let’s print out these pages and do some scissor exercise right away! 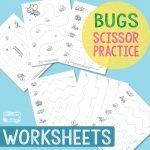 Get your free Summer Scissor Practice Worksheets here. 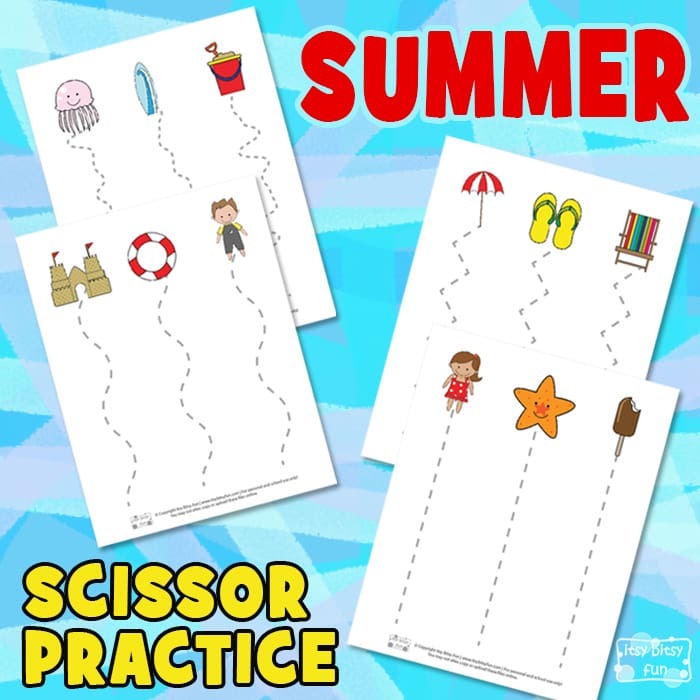 Practice more tracing with the Dinosaur Tracing Coloring Pages or have some fun with learning numbers with Summer Count and Clip Cards pack.